My Pinterest project for this month was inspired by the popular Custom Color Chalkboard Paint shared by Martha Stewart. I first saw it on Pinterest a few months ago and couldn’t wait to add a chalkboard wall to Connor’s playroom. Of course I have to make things difficult for myself, so I painted the wall first with magnetic paint. When that was dry, I mixed up my chalkboard paint and painted two coats of chalkboard paint over the magnetic paint. I’m not that impressed with the magnetic paint but I LOVE the chalkboard paint!! Obviously the best part about making your own chalkboard paint is that it can be any color you want it to be. I had left over paint that I had already used in Connor’s playroom so all I had to do was buy the unsanded grout. 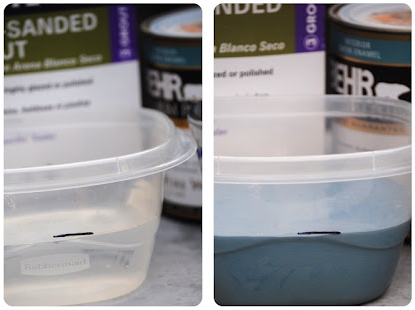 Pour 1 cup of water into your paint container. Then, draw a line at the top of the water. This way you know how much paint to pour. I did this so I didn’t have to ruin a measuring cup. I actually made 4 cups of paint at a time because I was painting a large part of the wall. Who knew chalkboard paint could be so easy to make? Now I’m looking for more things I can paint with chalkboard paint since I have a whole box of unsanded grout left. 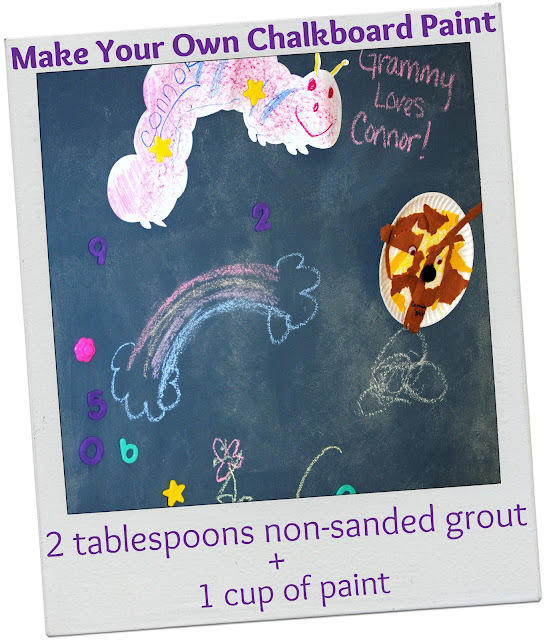 What have you painted with chalkboard paint lately? Previous Post: « Pinterest Challenge Round 9 – Let the Fun Begin! Oh I am so glad you posted this!! I have had making my own chalkboard paint on my to do list for months but was a little intimidated by it. You make it look easy! Thanks for sharing!! Smart tip about pouring the water in to measure, I never would have thought of that! I haven’t done anything with chalkboard paint recently but ages ago I painted the lids of some glass jars in the kitchen so we could write the contents on them, and I painted some little labels onto the flower pots that I planted our herbs into; it works out great! I wish I would have knows this before I spent money buying chalkboard paint. Thanks for sharing I know I am going to need chalkboard paint again and will not be buying it anymore. Hi! I am Alesha from Blessed to be a Blessing. I’m one of the co-hosts from the Summer Fun Carnival. I wanted to make sure that I am following all of you before we really get into this thing! 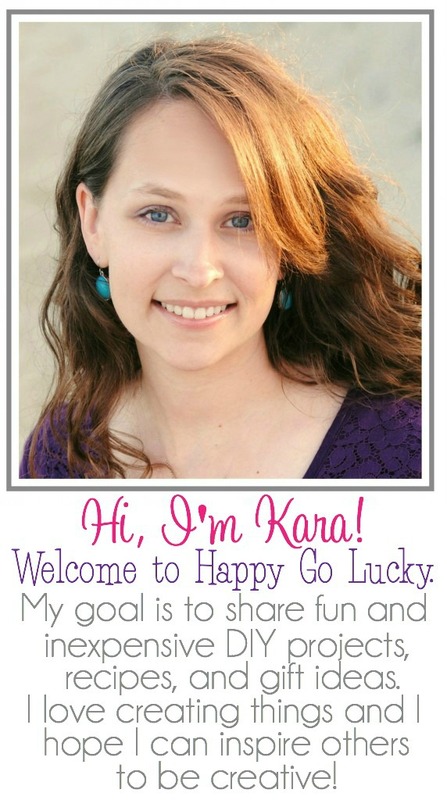 I’m really excited to work with you, to possibly have you guest post, and to get to know you this summer!